Transform your living space with more natural light and large openings. Our stunning lift and slide doors are bold, beautiful and come equipped with the finest German made hardware. With premium design and excellent energy performance, they add style, flexibility and security to any home while emphasizing your home's connection to the outdoors. Neuffer offers four frame materials, custom sizes, colours and glazing to meet your architectural and performance needs. Neuffer's lift and slide patio doors complement our range of custom high performance windows and doors. They are made exclusively in Germany and feature a range of security options ensuring that each one meets our high standards for quality control and of course, your individual requirements. In contrast to old fashioned sliding doors that move along a bottom track, lift and slide doors feature a different opening mechanism that improves usability, security and energy-efficiency. By rotating the handle, the entire sliding sash is effortlessly lifted off the ground and then slid to the side. Because the sash is physically lifted off the ground to slide, it is also lowered back down when closed (whether partially or completely). 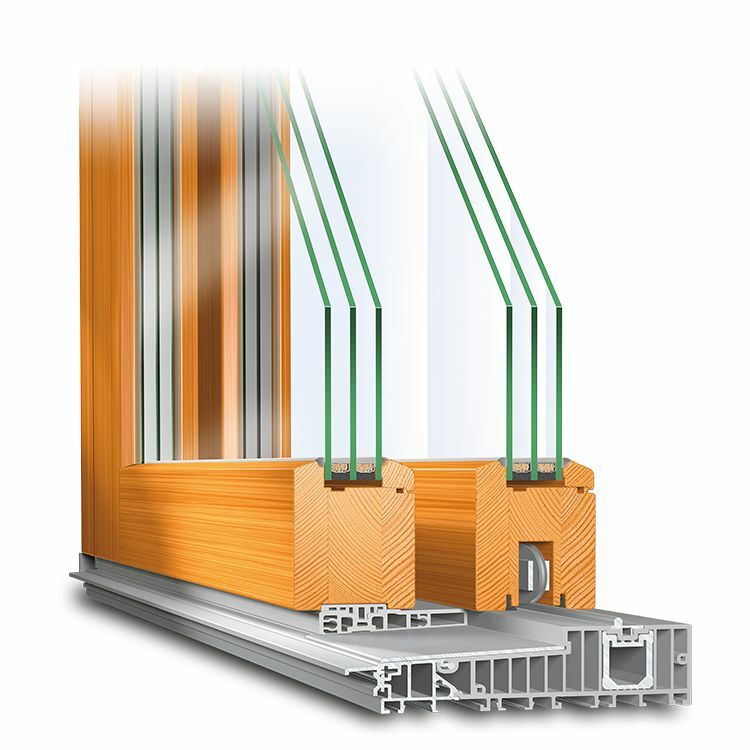 This means the full weight of the sash presses downwards creating an airtight seal, eliminating drafts and energy loss. It also means moving the door back and forth doesn't feel like pushing a heavy piece of furniture. In fact, you can open and close it with just one hand, or even a few fingers. Standard sliding doors move along tracks on the floor and provide little mechanical assistance in opening. That means pushing the full weight of the door which not only creates extra work, but also rubs against and wears out the seals. Over time, traditional sliding patio doors begin to leak air due to deformed or worn seals and can allow moisture in. This leads to wasted energy, cold spots inside and eventual repairs. By turning the handle of a lift and slide door 180 degrees, the sash is lifted up and can effortlessly glide along a series of rollers in the track. This means it slides free of the weather seals eliminating wear and making opening and closing easier for you. The door can also be lowered and locked partially open. Since the full weight is pressing downwards, which can be hundreds of pounds in some cases, it is extremely difficult to move. Thus, you can safely leave it cracked with complete peace of mind. We offer two main materials, wood and vinyl as either stand alone products or with aluminum cladding. Each option offers a different set of features. Vinyl is well suited to those on a tight budget while still offering most of the same customization options. It can be upgraded to improve thermal performance and security as required. wood boasts great insulation and strength without additional reinforcement, foam or internal chambers. It provides a traditional and natural look for any home while requiring a bit more upkeep than synthetic materials. Aluminum cladding represents the best of both worlds. Aluclad vinyl provides solid security, durability, insulation and aesthetics at a great price. For the ultimate bespoke solution and premium aesthetics, aluclad wood frames are second to none. They feature a sleek modern look outside and robust weather resistance. This means minimal upkeep over the years while retaining the cozy look of wood indoors. Lift and Slide doors feature large glass surfaces to provide the most natural light possible and the best views. 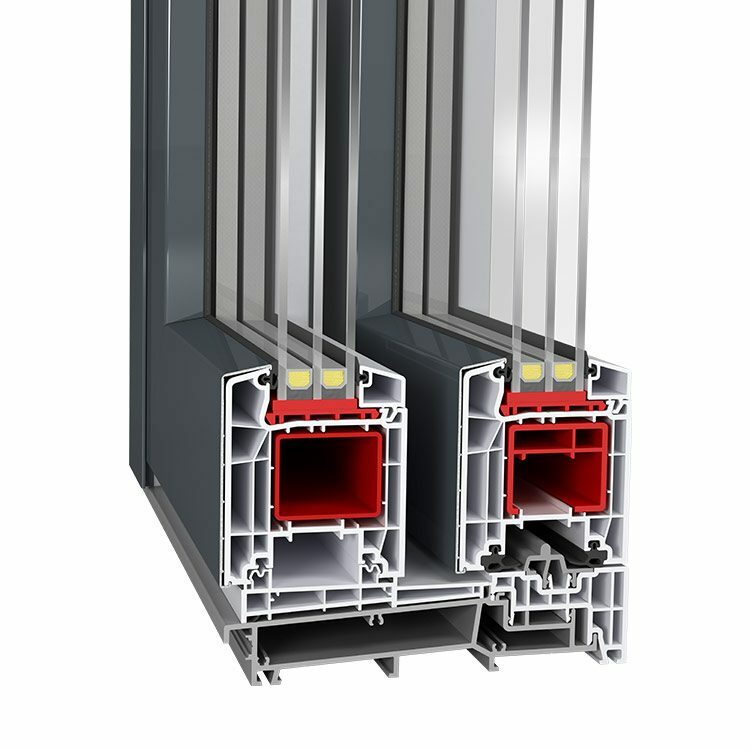 Since most of the doors' total surface area is glass, your choice of glass plays a major role in overall energy efficiency and final U-values. 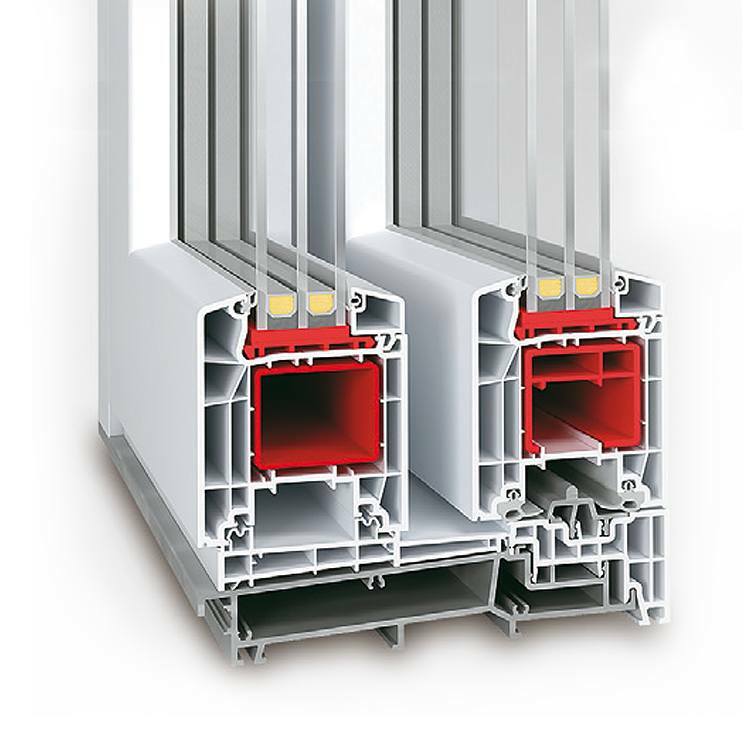 Triple glazing with low Ug-values combined with non-conductive warm edge spacers represent the best combination for thermal performance. 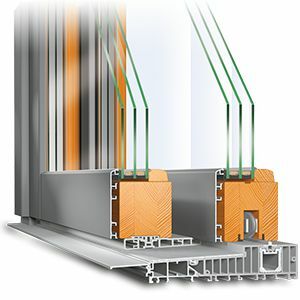 Additionally, the gaps between each pane can be filled with argon, a noble gas which is less conductive than normal air. Large glass surfaces can be a potential vulnerability depending on their location. A second floor balcony door presents little risk while ground level doors should require more security. This includes multipoint locking, shootbolts, locking handles and concealed hinges. Laminated safety glass should be installed on the outermost pane at least in order to provide an added layer of security and make breaking the glass difficult. All of these options and more are available and allow for a completely individual configuration. Vinyl frames are available in a large selection of RAL colours as well as decors such as woodgrain for example. Our solid wood frames are available both in the entire RAL colour spectrum as well as a range of natural stains and finishes. Aluminum is also available in the RAL colour range applied to the anodized surface via powder coating. Dual colour options are also available.